Hello friends! Can you believe it is already Friday? I feel like this week flew by. We are aiming for one final weekend at the lake before summer officially comes to an end. Fingers crossed the weather cooperates! 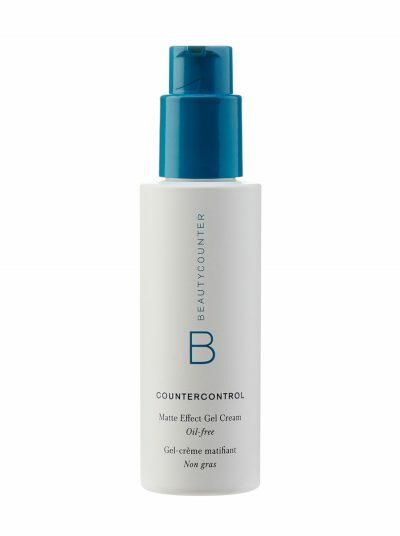 Usually I round up five different things in my Friday posts, but this week Beautycounter launched their Countercontrol line! Since it contains five products, I thought it lined up perfectly to share each item this week! 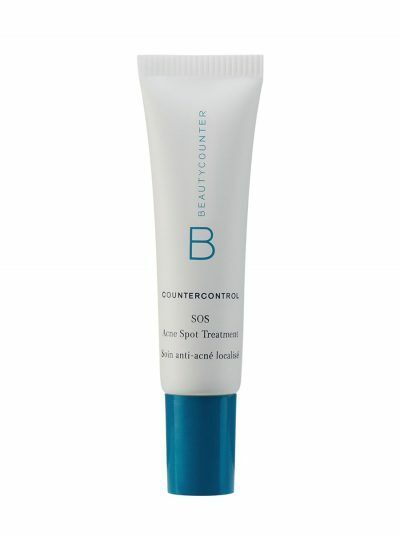 For those of you that have followed Beautycounter, you may know that acne prone skin is the one that has had the fewest options. There have been individual products that are good at combating breakouts, but no committed line. This was frustrating for some, especially those fighting adult acne. All of that changed yesterday with the launch of Countercontrol! As a teen, I really always had great skin. I never had to worry much about breakouts, which I was always thankful for. Once pregnancy and nursing happened, my skin took a turn. At the age of (almost) 29, my skin is truly the worst it has been. My skin is more oily and prone to clogged pores than ever before. Fighting adult acne has been a big stressor for me. So, I did the happiest dance ever when this line finally launched! 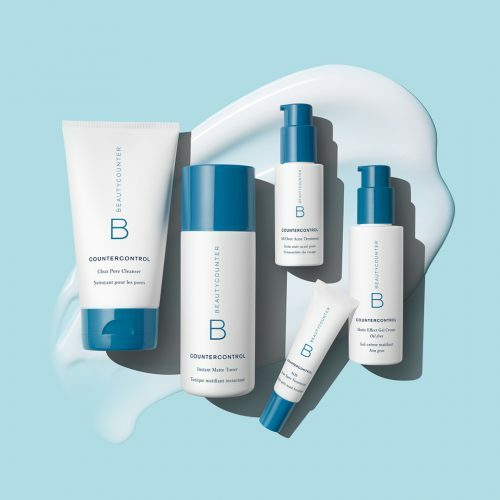 It is the lowest price point of all of the Beautycounter lines, making it perfect for teens, men, and anyone who suffers from breakouts or oily skin! Keep reading to see the five products in the regimen. The cleanser is the first product in the regimen, which is used to wash your face every day. The main acne fighting products in this (and the rest of this line) natural salicylic acid from wintergreen and rosebay willow. The salicylic acid helps to exfoliate dead skin cells and also restores balance to bacteria on the face. The rosebay willow will help to reduce irritation and decrease sebum protection. The cleanser also has jojoba beads, which help to slough away dead skin while still being nourishing and gentle on skin! Toners are often overlooked, but are such an important part of any skincare routine. The instant matte toner helps to get rid of any dirt or impurities left over after cleansing. It also helps to control oil and minimize the appearance of pores! I think so many people skin this step in their routine, but it really is so important. You will be amazed at the difference a toner makes in your skin health! The all over acne treatment is used on the entire face! It is applied after the toner, and is amazing for helping to eliminate oiliness and blemishes. It also helps to prevent future breakouts from forming. This is a great product for people who have consistent oiliness and breakouts throughout their face. This is the product that everyone needs in their arsenal, whether or not they have acne prone skin. The reality is that everyone has had a breakout at some point in time, and this spot treatment is perfect for treating on the affected area. If there is one product from this line that I would tell absolutely everyone to snag, this is it. I seriously LOVE this gel cream. As someone who is prone to more oily skin, I know firsthand how counter intuitive it can feel to put moisturizer on. Here I am trying to reduce oiliness, why would I add moisture, right!? I think most of us know it is an important step, but for me it has always gotten inside my head. This gel cream still provides moisture, and helps to soothe and heal. But because it is a gel consistency, it is oil free and helps to maintain healthy moisture levels. And, it has actually been clinically proven to manage oiliness, for up to eight hours. I think this product is the perfect compromise for those individuals who want balanced skin, but have that constant fear of ‘over-moisturizing’. If you have any questions on these new products, please feel free to send them my way. I know that skin care can be difficult to figure out, so you can also take a quick skin assessment for my recommendations based on your skin type. You may not be fighting adult acne, but whatever your skin care needs are, I am happy to help you figure out the best option. And if you are nervous about investing in these products, Beautycounter has the BEST return policy. All orders come with a prepaid return label and are accepted for 60 days, no questions asked. So there is literally NO risk to giving them a try! Have a great weekend everyone. I hope you are all soaking up these final days of summer! Hello my friends! Can you believe we are already itching dangerously close to fall? I always feel like after the 4th of July, we have a few more weeks of summer before the back to school madness begins. Of course, while the stores may be advertising all of the sweaters and boots and pumpkin spice flavored everything, we have a solid month of humid and sticky weather ahead of us. With such drastic weather changes living in a four season state, it is always important to modify my skincare and beauty routine during the summer months. I have rounded up my five Beautycounter products for summer. They are perfect for keeping your skin healthy, balanced, and rocking that sunkissed glow. This magical peel has been surrounded by SO much hype. But it lives up to every last expectation. Acne scars? On in. Fine lines and wrinkles? Done. Dry and uneven skintone? Easy. Seriously, I have spoken with ladies with so many different skin types, and yet they all see amazing results from this peel. You apply it to a clean face at night and sleep with it on. That is it. No burning, no peeling it off. It is just a quick application 2-3 times per week before bed. I wake up with glowing skin every single time I use this. I don’t know about you, but with summer comes extra sunscreen, sweat, and time spent outside to clog my pores. I love using cleansers that have exfoliating properties, and the nourishing cream exfoliator does a great job at smoothing your skin while also being incredibly gentle. And it smells delicious. This product is so gentle that it will work on your skin year round. It is a no brainer to grab sunscreen in the summer. This was one of the first products I had to use on my children that I felt so uneasy about. I tried to find ‘safe’ options on the shelves of the stores I shopped, but if it was deemed safe, it often didn’t provide the sun protection I wanted. The countersun sunscreen is AMAZING in terms of safe ingredients, and goes on so well and blends in nicely. If you have ever used a natural sunscreen, you know the sacrifice is often a slimy white layer that is impossible to blend in. Countersun goes on and blends like a dream, smells great, and provides amazing protection. My boys have been free of any sunburns after a long summer spent outdoors! The properties of charcoal and its ability to draw out impurities is incredible. So it makes sense that this charcoal bar leaves your skin feeling squeaky clean. I tend to use it 3-4 times per week, and sometimes every day during the summer when I am feeling extra oily. It draws out oil, and helps to reduce blemishes. Again, a must have if you have oily skin and struggle to keep it under control during the summer months! This is one of my absolute FAVORITE products. It has SPF 20 in it, and is a nice everyday moisturizer that provides a subtle tint to even out your skin tone. I will note that since it is not a true foundation, it will not hide blemishes or major skin imperfections. But in the summer especially, I like to let my freckles show through and look as natural as possible. This moisturizer feels SO good on my skin; like it is being pampered without feeling weighed down. I wear it in the linen shade, but could likely go one shade darker in the summer. While it is always so easy for me to talk about the incredible performance of these products, I always come back to the reason WHY this company is so amazing. While the United States bans 30 cosmetics ingredients (which is shockingly low compared to over countries), Beautycounter bans over 1,500. To find products that provide the comfort of being safe while also delivering and allowing me to invest in my skin, is such a blessing. If you have ever considered how you can begin to make the switch to cleaner products, start in your medicine cabinet! I am always happy to answer any questions or provide product recommendations based on your skin type. You can also fill out a questionnaire for product recommendations here! 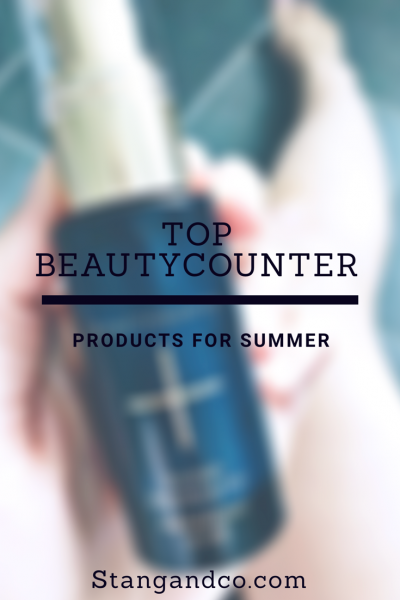 I may have only shared five Beautycounter products for summer, but I am happy to help you find the exact products that work for you and your needs! Hello hello my friends, happy Friday! We are extra happy today because we are headed to the lake for the weekend! It isn’t supposed to be very warm, but I am sure the boys will still be forcing us into the lake. One of the many joys of having your children, right?! 😉 Hopping right into my favorites for the week (including the BEST new Beautycounter eyeshadow), keep reading for all the details! I have been sharing bits and pieces about Beautycounter recently, and I am absolutely in love with the new classics Beautcounter eyeshadow palette. Beautycounter recently launched a new line of powders with a brand new formula, and trust me when I say that they are GOOD. I am by no means a makeup pro, and do not claim to be. 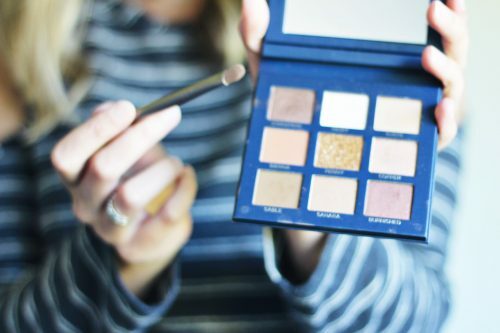 But this palette is on par, if not better than, the other designer palettes I have used in the past. There is also a romantic palette and a statement palette, and I honestly cannot decide which one I love most. Of course, my favorite thing about these powders is that they are SAFE and have over 1,500 ingredients that they DO NOT USE. I could shout it from the rooftops how excited I am to have found high performing makeup that is also 100% safe. 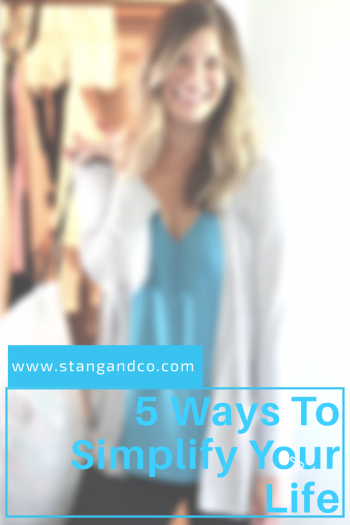 Did you catch my post earlier this week with easy ways to simplify your life? I have been on a major kick of purging and getting rid of unnecessary things lately. I committed not only to cleaning out my closet, but to not refilling my closet! Womp womp. I love shopping, but just hate clutter and having too many things. I am thinking about looking into a ‘capsule wardrobe’ for fall/winter. 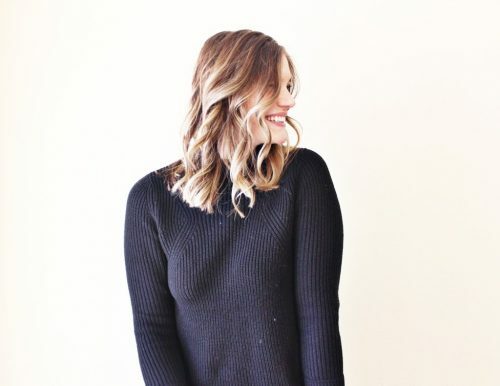 Have you ever done a capsule wardrobe? I have no idea how to begin! Okay, I did not purchase these for MYSELF. I just don’t think I can ever find a way for Crocs to fit into my style 😉 But we grabbed Jackson this pair of shoes last week, and I am honestly surprised by how cute they are, and he LOVES them. Of course, Mike discovered that the exact same pair comes in grown up sizes, so now he has a pair, too. SALE ALERT: the grown-up pair actually cost HALF as much as the kids sizes on Amazon and a fraction of what I have seen them for in stores! I will say that I love that they are easy to clean and are perfect for use during the summer months! Yesterday I shared one of my favorite trends of summer. 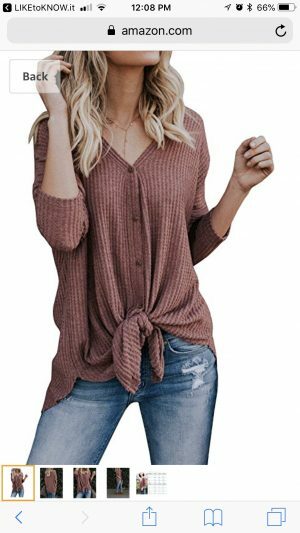 These tie front tops are my absolute favorite and are universally flattering on everyone. They are basically a top that was MADE to be worn with a cute bralette! 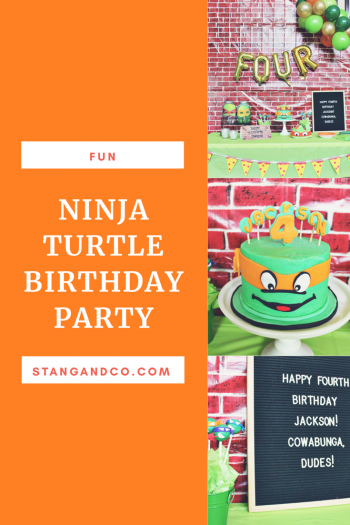 You can check out the full post with all of the details here. Look for a full review coming next week, but since we are all packed for the lake I couldn’t resist sharing my FAVORITE new bag. 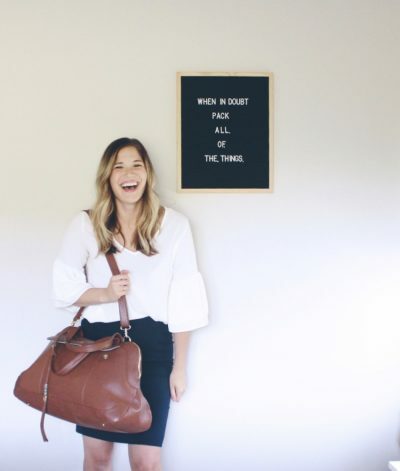 As I talk about capsule wardrobes, Lily Jade bags really fit the bill. They are of the absolute BEST quality and materials, and I have no doubts I will use them for YEARS to come. And the style is so classic, I don’t worry about it not being ‘trendy’ in a few years! 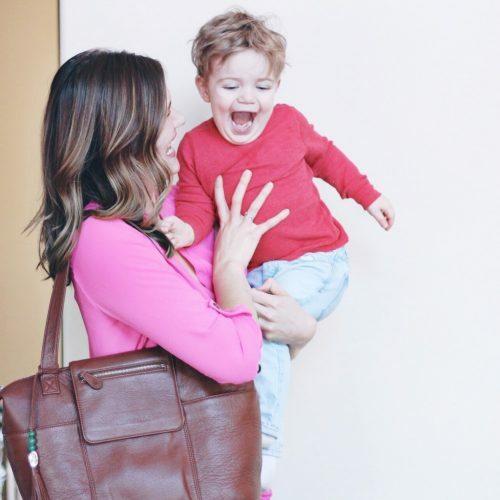 Did I mention the weekender bag is HUGE and holds everything you could need, and more!? I hope everyone has an amazing weekend-there aren’t many weekends left of summer, so make sure you make every last moment count! I don’t know about you, but I have been feeling overwhelmed lately. Overwhelmed with schedules, routines, and just STUFF. It is a problem we are lucky to have, really. Having so many things we don’t know what to do or where to put them all? But this past month has really caused me to reflect on what we WANT versus what we NEED. Keep reading for some easy ways you can simplify your life RIGHT NOW. There are so many quick and painless ways to simplify your life, that will have you breathing easier almost immediately. This may seem like a no brainer, but nothing feels more liberating than cleaning out your closet. I can count on one hand the number of items I have gotten rid of and then regretted. Most of the time, it is just a breath of fresh air to make space and get rid of those items that no longer fit, or are out of style, or just never get worn. I break items down by whether they are to sell, donate, or trash. I list my higher quality items on Poshmark, and love knowing items in good condition are finding a new home! One of my biggest weaknesses is dresses; I buy a dress for almost every special occasion. I love it so much that to be honest, most of my dresses only get worn once, MAYBE twice. So instead of holding onto them for years, I will either sell or donate my dresses after the special occasion has passed. Tell me, have you EVER gone back into your closet and worn that old prom dress or cocktail dress you just HAD to hang onto? I am guessing the answer is NO! Spend less time and energy holding onto items just because you liked it once upon a time. This is another one that is SO EASY to do and will do wonders for your soul. Especially with little kids, I find that we end up drowning in snacks, half empty boxes of crackers that go stale, you get the picture. Make it a point to do a ‘clean out the pantry’ week where you plan your meals based off of what you HAVE and not what you NEED. It feels so good to use those items that have been sitting on the shelf not getting eaten, and we often end up with new and delicious meals we would have never thought to make if we weren’t forced to get creative. Also, make it a point to go through and THROW OUT old items. Do you hold onto boxes of cereal that are stale and almost empty? Is there a box of crackers that keeps getting pushed to the side and forgotten about? Make space and get rid of the stuff you know will never get eaten! One of my favorite things to ever come out of Facebook is online garage sales. We live out of town, so a garage sale has really never been all that feasible in terms of payoff. However, I hate when I replace an item or upgrade something and feeling like I need to store old things. Again, this is where it pays to go through the storage closet and look at all of the items collecting dust. 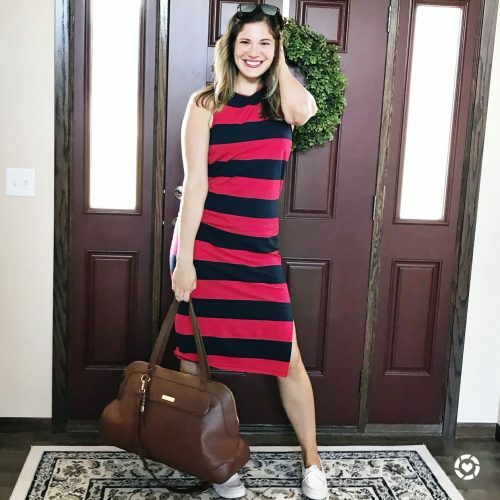 I am becoming more and more confident we are done having children, and have finally started to come to peace with saying goodbye to some baby items. One of the best changes we have made in our home this past year is cleaning up the products that we use. Tell me, how many different household cleaning products do you use? Have you ever put any thought into the chemicals in those products? 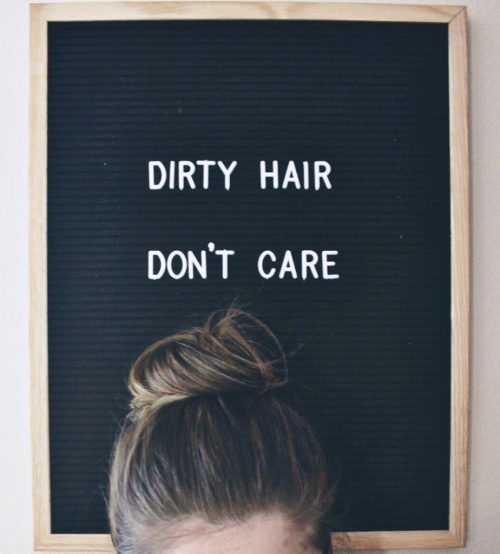 In all honesty, I rolled my eyes at ‘all natural’ people for years. And then we had kids, and the thought of putting products with known carcinogens on their little bodies made me sick. By cleaning up the products in our house, it forced me to go through and throw out SO MANY items that I never used, but also never thought to throw away. Safer, cleaner products are often a bit more of an investment, but I find we end up purchasing only what we NEED versus buying lots of items off the shelves that we truly DON’T need. We use lots of Young Living products for our household (the Thieves line can clean ANYTHING), and all of our beauty, skincare, and body products are from Beautycounter. Again, these are more of an investment up front, but we have drastically cut down on having a LOT of low quality products, and a few high quality products we trust and love. This is one we are in the process of doing in our home, but it is SO liberating. We currently pay for internet, satellite television, Netflix, and who knows what else. And when we sit down and think about how much we use each, it makes me cringe. I know in this day and age we cannot say goodbye to the internet, and Netflix really is the best thing ever. But you guys, we have satellite TV for ONE show we like to watch that is not on basic TV channels. ONE SHOW. As much as I love my zombie shows, the price we are paying for all of those extra channels is mind boggling. We do not need to be hooked up to every possible technology out there, and quite frankly, we shouldn’t be. Cutting out cable will not only free up over a THOUSAND dollars a year, but it will also free up time and energy you spend mindlessly surfing the channels. If you cannot say goodbye to television entirely, look into going down to the simplest plan they offer! What are some ways you have attempted to simplify your life? Are there things you realized you definitely DID NOT need after you decided to get rid of them? I would love to hear from you! Happy Friday friends! I haven’t been around for a few weeks, not on purpose! I swear when summer rolls around, sitting down to type becomes nearly impossible. 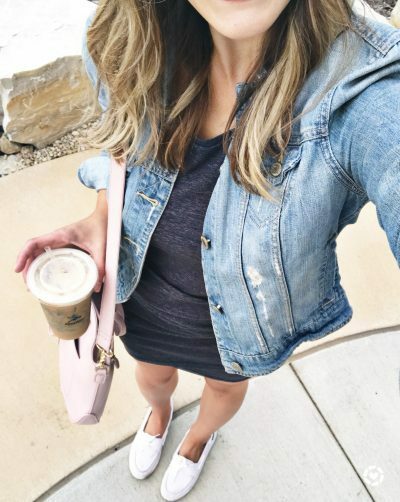 Of course, today the Nordstrom Sale is FINALLY open to the public, so I couldn’t resist sharing at least a few of my favorites! I have a few other things I have been wanting to share (like the Beautycounter no. 3 mask! ), as well, so keep reading for this week’s favorites. I am keeping it short and sweet this week! 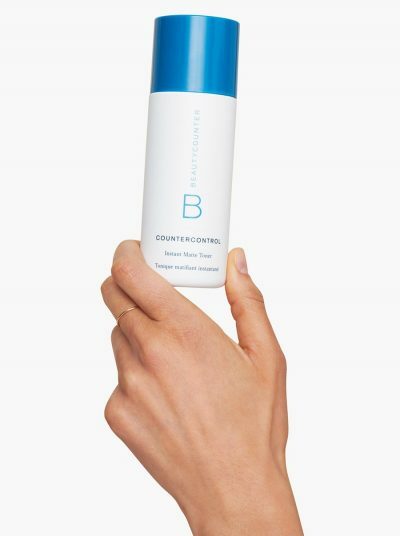 My skin has completely changed since I started using Beautycounter products. the No. 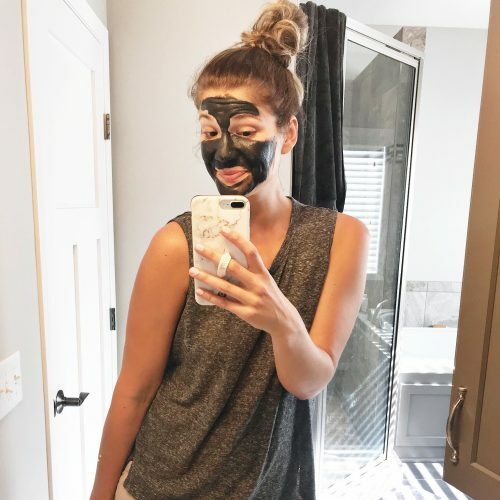 3 charcoal mask is one of my absolute favorite items! It draws out oil as it dries, and you can actually see dark spots where more oil has come out. This is one of my favorite parts of my nighttime routine! If you want to try Beautycounter products for yourself you can shop here! These have been some of my FAVORITE drinks this summer! 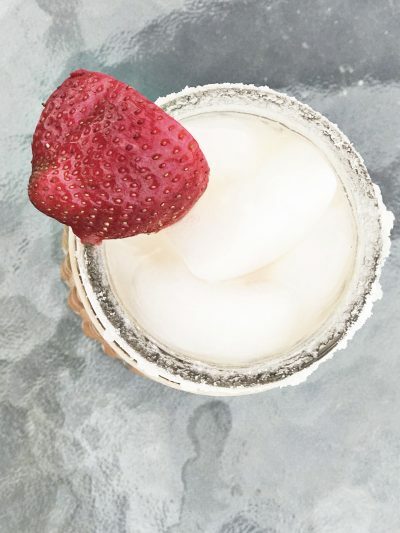 They are a spiked seltzer, and come in the lightest and most refreshing flavors. I love the lime and grapefruit, but really like them all. They only have 100 calories per drink, too, which makes them the perfect summer treat when you are hanging out at the lake! With Prime Day earlier this week (who else received that failure to load page with a picture of a dog a MILLION times? ), I was able to check out some of their fashion, and I continue to be SO impressed by what they have to offer. I grabbed this shirt in a few colors, which is basically an exact dupe of this UO top for less than half the price. And this swimsuit I shared a few weeks ago is one of the CUTEST I have seen. I love that Amazon has become a place I can trust for cute (and affordable!) fashion. I couldn’t resist sharing a FEW items from the #nsale now that it is open to the public. As much as I wouldn’t have minded shopping this past week, I can never justify getting a credit card, basically for the purpose of ONE sale. But now that it is open to the public, I am loving this gorgeous lavender cardigan. This pullover looks so cozy, and I am planning on scooping up this blazer for work. It comes in a lot of colors and is under $40! I have been seeing this dress style with the knot all over, and I love the look of this one. 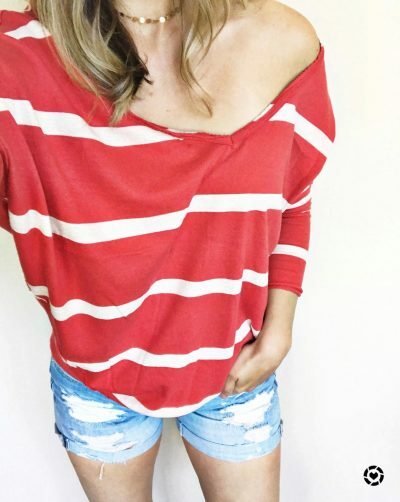 This striped long sleeved tee has been a cult favorite, and it is back in stock this year and in LOTS of cute colors. These faux leather leggings have gotten RAVE reviews, and this moto jacket is SO cute, I am in love with the hooded detail! Everyone that I know loves these leggings, and they come in a few colors and rarely go on sale. And last but not least, this cardigan WILL sell out and is so soft you won’t believe it and is worth every last penny. You guys, I just had a very sad moment of realization that Jackson is well into the 5T size. That means that this is my last year of really getting to dress him in precious pajamas during the holidays. Insert ME SOBBING. I know they still make cute options in the boys section, but I know my heart is going to shatter into a million pieces when we say goodbye to the toddler section. My boys have actually been sleeping in oversized t-shirts or with no clothes at all this summer, because #itshot. But I know they will need to start wearing pajamas again once it starts to cool down, and there are some CUTE styles out right now! This taco pair might be the best thing I have ever seen. I love these classic stripes! Aren’t these crayon jammies adorable? And slowly but surely, Halloween jammies are coming out, and I am forever a sucker for the mummie pajamas, and I love this cute space man set, too! Well, that escalated quickly. We said adios winter and hello summer in the course of a few weeks. This entire week we enjoyed temps in the 80s, and as much time outside as possible! I cannot tell you how excited I am to be back in the season where we live off of grilled burgers and watermelon. So, in celebration of soaking in this glorious season, I am sharing some of my favorite ways to say HELLO SUMMER! I shared recently that I decided to ditch my single brew coffee machine and go to a Ninja Coffee Bar Station. I thought dealing with the coffee grounds would drive me crazy, but really, I am loving it! My absolute favorite way to say hello summer is to switch over to iced coffee. 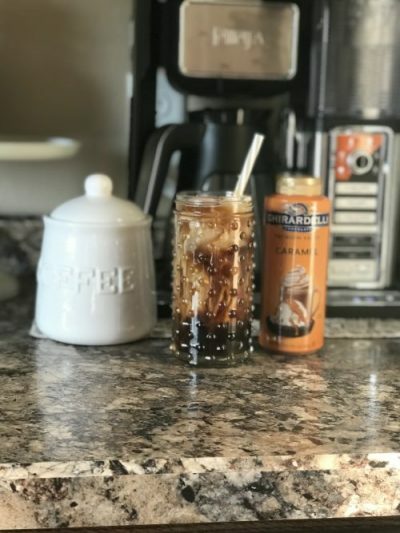 I am also trying to be more aware of how much I spend on coffee drinks, so I committed to making my favorite Iced Cinnamon Almond Milk Macchiatos at home! I even started grinding my own coffee beans (I buy this bulk bag), and then storing them in my pretty new coffee canister. I honestly didn’t notice the difference in taste when you fresh grind your own beans, but I am here to say it is 100% worth a bit of extra time. I add 1-2 pumps of cinnamon dolce syrup, which I found out you can buy right at Starbucks! They literally pulled it off their storage rack and rang it right up for me! Then, I brew on the ‘specialty brew’ setting on my Coffee Bar over ice, and top with almond milk. And for the last, and most necessary step ;-), I found this caramel sauce online which is perfect for topping off drinks! Now, I literally have no excuse for ever buying coffee outside of the house. Even though, SHHH, I still do. What can I say, it’s my vice! Sometimes you find a piece of clothing that you fall in love with, and this top (similar) is one of those items! It is so loose and flowy, and was basically MADE to be worn over a pretty bralette. I have had it less than two weeks, and have already worn it more than once. It would also be perfect thrown on over a swimsuit top. I just cannot get enough, and you can find a TON of color options here, too! I will be honest, I was not sure what all of the fuss was about over air fryers. 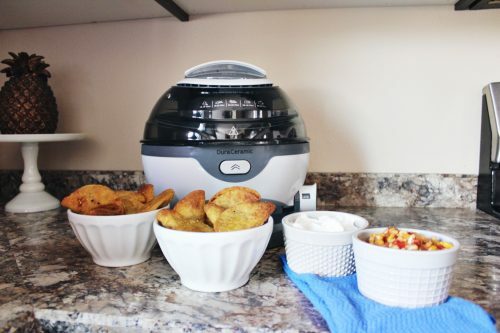 But I was able to try out an Oster AIr Fryer for the first time this past week, and I am SOLD. Ours is equipped with a spinning basket, so the food is constantly in motion which prevents it from sticking. The first thing I tried making was good old fashioned chicken nuggets for the boys. They came out SO crispy and cooked perfectly, and that was without adding ANY oil. The next day I tried making mini tacos with just a tablespoon of oil for the entire batch. They were, no joke, just as good as any I have ever had from a deep fryer. You can use it to cook meats, veggies, and just about anything else you could imagine. And also-THERE IS NO PREHEATING. I had crispy chicken nuggets in 15 minutes flat with zero time waiting for the fryer to heat up. That alone pretty much had me sold! It makes perfect sense that in a week where we say HELLO SUMMER that I include two different drinks, right?! 😉 After years of hating on tequila, something in me snapped and suddenly I cannot get enough of margaritas. 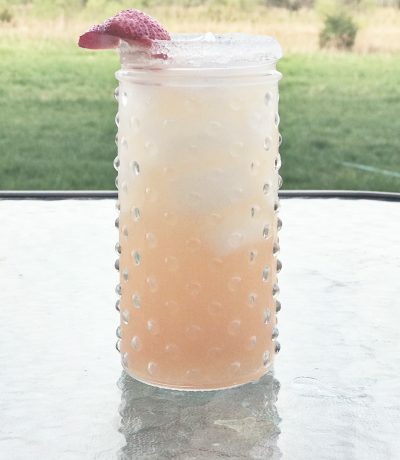 This cocktail is a nice way to get that margarita taste with a little bit less sweetness. It is definitely tarte, so adding a sugar cube or a little bit of simple syrup can be a good option if it is too much for you. 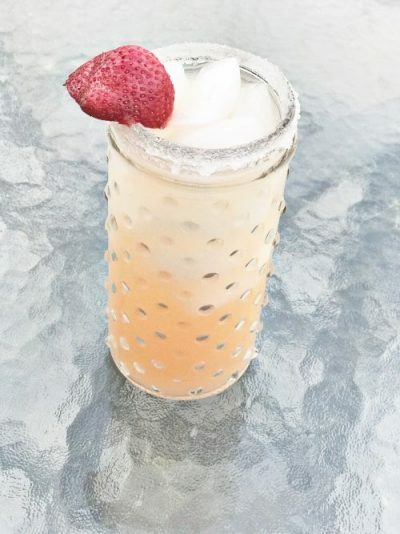 This is the perfect drink when you aren’t craving something overly sweet, but still want something fruity! Combine all ingredients in shaker and blend. Serve over ice and enjoy! 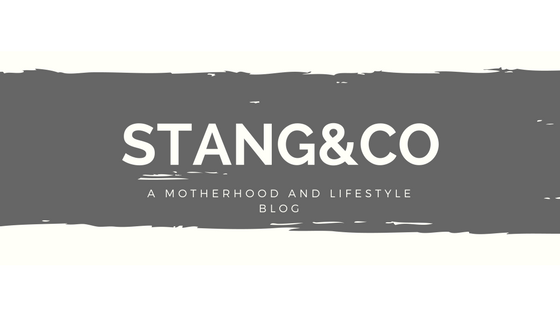 Some of you may know we use essential oils in our home, and while I love the company we buy from and the wonders of oils, I am also not above admitting when I find products from other brands that are a better fit for your family. My little guys basically LIVE outside lately, and putting sunscreen on can become so tedious. My sweet friend Ashton is constantly talking about Beautycounter, and I finally decided to try out the sunscreens. They come in stick form, which was a major selling point for me because I HATE when my boys get lotion everywhere! So far, I have been incredibly happy with it! It doesn’t have an overwhelming smell, goes on well, and is also protecting my boys well, which is the most important thing. They also just came out with a new and improved sunscreen line. If you are looking for safer products (trust me, I tried LOTS of ‘safe’ sun options since having little ones, and none have done it for me. So after lots of failures, I am seriously LOVING this stuff!